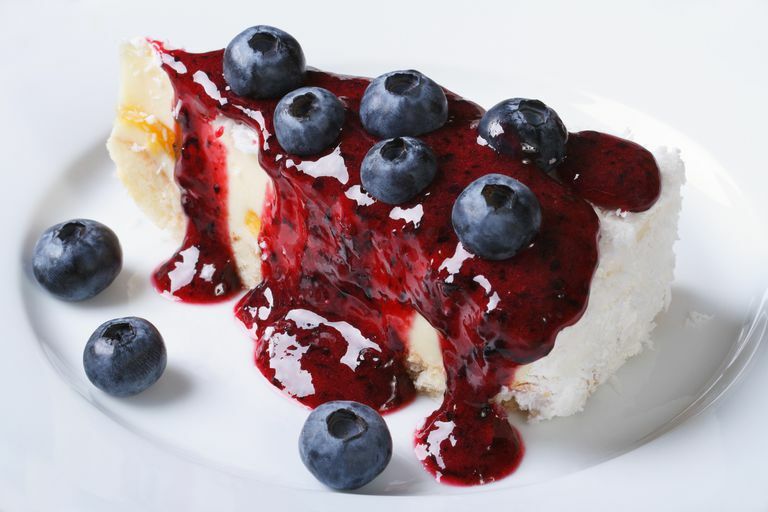 This is an easy sugar-free three-berry syrup ideal for pancakes or as a dessert sauce for cheesecake, pound cake, low-carb ice cream, snow pudding, and so much more. It can be made with fresh or frozen berries, in any proportions you like. To keep it simple, you could just make it using a bag of mixed frozen blueberries, raspberries, and blackberries. If you use frozen berries, make sure there is no sugar added. Put 1 cup fresh or frozen blueberries 1 cup fresh or frozen raspberries, 1 cup fresh or frozen blackberries, 1/2 cup water, artificial sweetener to taste, and a pinch of salt in a saucepan and bring to a boil. The berries will begin to break down as soon as the boiling begins. After 5 minutes, turn off heat and mash with a potato masher or fork to help break down the larger berries. Boil for another 2 minutes to combine. Remove from heat. The mixture will thicken as it cools. Berries are low in fat, carbs, and calories, but high in fiber, vitamins, minerals, and antioxidants. Is it any wonder these yummy nuggets of flavor not only contribute to overall health but may even help prevent cancer and heart disease, as well as slowing the aging process. And thanks to the freezer, we can have the advantages of berries year-round. Berries are not only sources of concentrated flavor, but little packets of vitamins, minerals, and fiber. For example, 1 cup of sliced strawberries contains a whole day's requirement for vitamin C. A cup of blackberries contains a day's worth of manganese, while the same amount of raspberries supplies a third of our daily niacin needs. Blueberries and strawberries are even surprisingly good sources of vitamin E. And they all contain between 4 and 9 grams of fiber per cup.